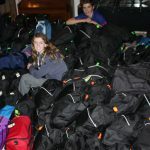 Thank you, our 2017 Campaign saw Cora and Owen fill 300 backpacks full of life’s necessities and a little joy for the homeless at the centers we support. Another amazing year. 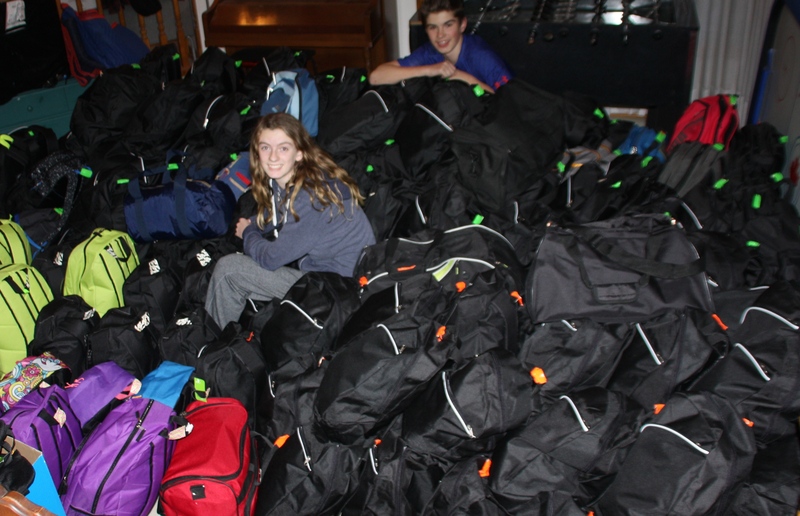 Thank you to everyone that makes Bag of Hope part of their giving at Christmas! To Wendy who has filled toiletries bags for the past 8 years that are so beautifully wrapped! To Mill Creek School that has collected items for the past 2 years. 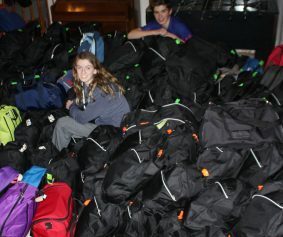 To St. Albert Catholic High School that collected and filled backpacks. 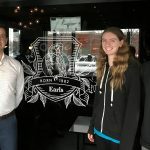 To the exercise group that donated food, gloves and time! To the downtown group that filled backpacks so full of great items! To our friends that help count, sort and pack!